Agribusiness, which in the layman?s understanding is the business of agriculture, is probably one of the new emerging areas of attention and focus in terms of contemporary policy formulation for most developing countries, including Ghana. Agribusiness is a management discipline that blends business management principles such as planning, controlling, organizing, budgeting among others with the science of agriculture to produce goods and services to profitably satisfy the needs of consumers. Until recently, it was only the University of Ghana that train competences in agribusiness management in Ghana.However, God being so great, the Kwame Nkrumah University of Science and Technology and the Catholic University collage are equally training competencies in this field. 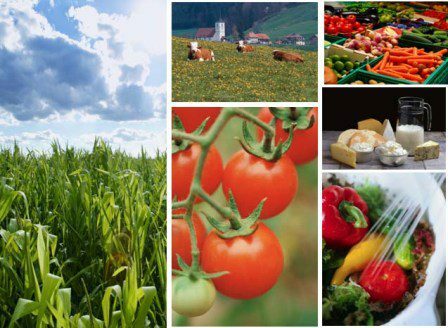 The role of the agribusiness manager is to improvise the agricultural cluster of value chains to produce the best of quality of products and services and deliver to the consumer at the right place, at the right time and at the lowest possible cost. Agribusiness managers also appraise an array of investments to select the most profitable one. They also identify and develop profitable marketing channels for agricultural inputs, products and services. At policy level, agribusiness competences are useful in directing government expenditure towards profitable agricultural investments to maximize returns for the state. Current financial reports on the Ghanaian economy indicate that the Ghanaian cedi is doing so badly against the dollar. The cedi has reduced in value relative to the dollar. Currently, one needs approximately GHC 3.00 to buy $1.00.Economists and financial experts term this phenomenon as devaluationin the value of a currency against the other.Prices of Ghana major export commodities also continue to fall, as indicated by the President?s second state of the nation address to parliament, 2013. Dear reader, is it not highly ironical and irritatingly unbelievable that a country that prides itself with a claim of being the first state in Sub-Saharan Africa to have gained independence some fifty seven years down memory lane would still be depending grossly on other nations for everything it needs, including basic food? Is it not an unending insult to the sensibilities and sensitivities of past, present, and future generations of a great nation with vastagricultural factor endowments such as a vast fertile land and favorable climate, to be constantly importingfood items such as rice from the deserted and rocky lands of Israel or from the over populated country of China? Where is that pride of independence and self-reliance that the famous big six, led by Dr. Kwame Nkrumah of blessed memory, toiled for? It is estimated that every year, Ghana spends over $540 million on importation of rice alone into the Ghanaian economy.This means that the estimated aggregate demand for dollars by rice importers alone is $540 million.In the president?s second state of the nation address in 2013, it was reported that Ghana spent a total of $1.5 billion in the importation of food consumables, many of which could be produced cheaply in Ghana. The country also lost $1.3 billion in exports revenue in the same year. This lost was attributed to the fact that little or no value is added to Ghana?s exports, which are primarily agricultural produce, more precisely cocoa and timber. ?HOW CAN PRACTICAL AGRIBUSINESS HELP CORRECT THE SITUATION? The majorproblem in Ghana with respect to food security, which has necessitated an ever rising increment in food importation, has to do with a seemingly insatiable gap between demand and supply.This gap is no longer chiefly brought about by inadequacy, but rather by a quality disparity that exists between imported foods and their counterparts produced locally. Ghanaian consumers perceive foreign food products to be of high quality over locally produced food because of certain quality characteristics that are generally associated with imported foods. Quality food has become the major challenge because the Ghanaian economy is graduating from a lower income economy to a middle income economy. And so, people?s standards for quality as shown by their tastes and preferences, with regards to food, are increasing with their income levels. It is estimated that over 70 per cent of Ghana?s domestic demand for rice is satisfied throughimportation from China, USA, Thailand and other nations whereas local production only satisfy about 30 per cent of total demand. In the 2011/2012 market year, it was estimated that 330,000 metric tons of milled rice would be imported into the country to satisfy the increasing local demand of the commodity where as domestic production was estimated at 310, 000 metric tons of paddy rice. Consumers in Ghana can be broadly categorized into middle income consumers (those who are able to spend one dollar a day) and lower income consumers (those who are not able to spend one dollar a day because they cannot afford). Reports say that only 7 per cent of locally produced rice is consumed by urban dwellers (presumably people within middle income brackets), due to low quality relative to imported rice, while the rest is consumed by rural dwellers (presumably people within lower income brackets). Quality is very varied and highly subjective from person to person but it generally has to do with taste, packaging and to some extent, method of distribution. The ability of any agribusiness investor to effectively and efficiently satisfy this demand for qualityfood products fromconsumers would keep the person in business, at the same time help restore and stabilize the Ghanaian economy by reducing rice importation. This would engender a great deal of efficient allocation of resources within the economy, increase productivity and guarantee food security. Ghana is forced to be hundred percent (100%) dependent on other countries for wheat because its climatic conditions, as dictated by Ghana?s geographic location, has made it naturally and technically impossible to grow the crop. Unfortunately,bread, which is widely eaten with other things like koko or tea, in Ghana mostly as breakfast and randomly as convenient food, is mainly baked from wheat flour. And so, as reported in a food balance sheet report, published by food security Ghana, 2012, Government of Ghana (GoG) estimated Ghana?s consumption of wheat to be at 300, 000 MT between May 2010 and May 2011. This translates into millions of dollars in cost to the Ghanaian economy. However, a scientific research conducted by Rita Elsie Sanful and Sophia Darko, and published in the Pakistan Journal of Nutrition, 2010, and copied by the Asian Network for Scientific Information, has revealed that Soybean flour can be complemented with wheat flour at 30% composition for bread baking. At this composition, bread consumers prefer this type of bread to one made solely from wheat. Again, any agribusiness investor who carefully masters this new technology would be in business, considering the nutritional and health benefits of soya products.This would reduce the total number of metric tons of wheat imported annually for wheat flour production. It would further retain and allocate resources within the economy for a more robust and resilient growth. Soya is one of the crops Ghana can produce efficiently, given the crop?s ecological characteristics. The President, John DramaniMahama, at his second state of the nation?s address to parliament in 2013 called on the agribusiness industry to increase local processing of cocoa into cocoa products instead of exporting them bulk. This call, in the humble opinion of this paper is long overdue given the recent predicamentsthat this country is facing as a nation. This paper would like to join the league of voices that have being calling for a diversification in our agricultural export portfolio to include other products such as sheabutter. Reports say that sheabutter is in high demand in Germany, Brazil, Japan, the US, China etc. A Sheabutter marketing manual compiled by the U.S Agency for International Development identifies that the sheabutter market remains a great potential for West Africa?s development, including Ghana. The paper however pointed out that what remains a challenge for West Africais how to meet market requirements. Agribusiness investors in partnership with government should take efforts in identifying and developing marketing channels as well as following all market requirements, as done in the cocoa sector, so as to meet this opportunity. The Nkrumah government used scarce resources of this beloved country to establish tomato and meat processing factoriesat Bolgatanga in the upper east region. Thesefactories arebeing left to waste with poor management and a seemingly low political will. However, millions of dollars is spent each year to import canned tomato paste and other canned meat products into this country to satisfy an existing craving demand when these products could be cheaply produced within the country with better management of the country?s productive resources. The government of Ghana should leverage these capital investments by engaging private partners from the agribusiness industry. This would maximize returns to the state than its current state. The government of Ghana, as a matter of strategy, has to integrate the value chain approach into the Savanna Accelerated Development Authority?s food crop module. This can be done by engaging able agribusiness investors in private-public partnerships to as it were improvise the agribusiness cluster of value chains into the module for a more efficient and profitable operations.The government should also broaden its portfolio of crops under this module to include rice, soybeans and cassava. A search conducted by this paper has revealed that the food crops module of the Savanna Accelerated Development Authority has increased the quantity of maize produced annually in this country which is evidenced by the general low prices of maize across the country. The main problem now is low returns to farmers. However, if there were enough active agribusiness players along the chain, they would buy all the surpluses and mill them into poultry feed and edible flour for home consumption in the long term. The government of Ghana must further, as a matter of strategy, willfully post agribusiness student interns to the SADA to learn from the various modules under the Authority. This will help them to be up breath with the real challenge as far as food security in this country is concerned.This would further help them to acquire the relevant knowledge and develop the relevant skills and competences needed for the production of enough best quality food at the lowest possible cost. These students should also be motivated well enough to keep them interested in this way of learning. If millions of Ghana cedis is spent on sending medicine students to Kuba every year, this paper do not see why it is not possible to raise money to train people adequately to produce what we eat.